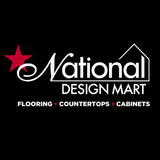 *Authorized Armstrong Flooring Dealer* National Design Mart is a full-service home goods and improvement retailer that provides cabinets, countertops, and flooring at wholesale prices. Originally based out of Wooster, Ohio, we now have 2 stores – National Carpet Mill Outlet in Wooster and our 150,000 sq. ft. showroom in Medina which features an in-store cafe, Kids' Kingdom, furniture, and decor. We pride ourselves on bringing "wholesale buying power to the public!" After hour appointments are available, just give us a call. At Bob & Pete's Floors, we know that...It's more than a floor. It's Your Home! The quality of materials and service we provide far exceeds the competition and industry standards. Our state of the art estimating process ensures accurate measurements, minimizing waste and unnecessary expenses. Moreover, unlike our competitors, we personally inspect each installation. Best of all, we stand behind our work and offer a lifetime carpet installation warranty! Bob & Pete's Floors knows that the right flooring can improve the entire look and feel of a room. Whether your style is contemporary, traditional, or somewhere in between, Bob & Pete's Floors' large selection will help create your dream home. 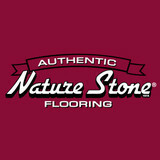 Authentic NATURE STONE® Brand Flooring is the largest stone and epoxy flooring company in the United States. Founded in 1989, NATURE STONE® Brand Flooring has developed a specially formulated, patent-pending epoxy resin made especially for use in stone and epoxy flooring. This special epoxy is what gives Authentic NATURE STONE® Brand Flooring its beauty, durability and long-lasting qualities. No other stone and epoxy flooring company can compare in quality to Authentic NATURE STONE® Brand Flooring. Since 1989, Authentic NATURE STONE® Brand Flooring has served over 35,000 residential and commercial customers and has installed over 12 million sq. ft. of stone and epoxy flooring. After 65 years in business, Zinz Flooring expanded and re-opened as Zinz Design and Selection Center, Inc. Our services and products have now been expanded to meet all flooring, cabinetry, counter-top, kitchen, bath, and general home remodeling needs. We strive to offer a completely unique shopping experience. Our showroom is unique to the area and displays exciting and fresh products for all consumers. Our team desires to represent our customers and assist them in getting the product they want at an affordable price. To help with your remodeling or new construction project we have knowledgeable Kitchen and Bath Designers and an experienced Interior Decorator in the Showroom. Welcome to Abrash Gallerie, the premier source for hand-made oriental rugs and kilims. Whether you are decorating your entire home or re-designing an existing room, our design services can create a magical surrounding with our fine rugs, exquisite art, unique furnishings, and decorative items. Abrash Gallerie offers both new and antique rugs for today’s contemporary taste. Every carpet in the gallerie is personally selected by Tuba Gokoglu, the owner of the gallerie. Her collection covers a wide spectrum of designs without compromising quality, beauty, and the integrity of the art form. Each piece is a unique creation from the best weaving producers of the world which are known for their leadership in re-creating the “Renaissance” in the oriental rug industry. Our rugs represent the major weaving regions of the world, such as Turkey, Iran, Caucasus, Egypt, Pakistan, and Nepal. Come and join us during the “second Renaissance." Tarkett has been creating beautiful flooring for generations. When you chose a Tarkett product for your home, you're selecting a floor that does good for the air in your home and for the planet. Tarkett floors are phthalate free, and are designed with good materials that allow for recycling and reuse. Our FiberFloor® is certified asthma & allergy friendly™, and our Transcend and ProGen floors are durable enough to handle just about whatever daily life throws at them. Come see our extensive showroom! All major brands of flooring: carpet, hardwood, laminates, vinyl, ceramic, stone, engineered woods, glass tile. Best quality installers in the area. Our installers are our employees - No Sub-Contractors! Our main asset is our people, their attitude and their knowledge. Interior Designers on staff! Our work and products are on display throughout Ohio. Just remember to look down and you will remember us. Teppo Interiors is a growing remodeling business on Cleveland's beautiful West Side in Westlake. Known for excellent workmanship on any and all flooring projects, Teppo Interiors is expanding it's professionalism to full room remodels, and along with the help of an Interior Designer Teppo Interiors is prepared to fulfill the needs of anyone needing a little inspiration and assistance. Northport Flooring America is more than just a flooring specialty store. We are experts trained in flooring sales and design and will help you find the perfect floor for the way you live. As part of America's leading flooring retail group, our 500-store nationwide buying power guarantees you low prices on thousands of carpet types and other flooring options backed by the most solid warranties in the floor covering industry. *Authorized Armstrong Dealer* *Carpet One Dealer* Welcome to The Don Booth Company! We're the Floor Covering Specialists, and we do it Special for You! Personalized Customer Service is Our Number One Priority! Founded in 1954, The Don Booth Company has a rich history and a proud family heritage. We are a complete floor covering center in North Jackson, Ohio featuring a wide selection of area rugs, carpets, vinyls, vinyl tiles, hardwoods & laminates, ceramics, porcelains, and more. Rest assured that you will find a brand and style that meets your taste, standards, and budget. 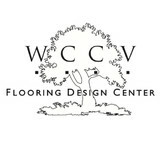 We have and offer everything you need in flooring. Our knowledgeable and helpful sales staff have been professionally trained to assist you with design and decorating ideas. Professional craftsmen handle all of our installations. Along with honesty and fairness, exceptional and personalized customer service is the founding principle of our company. Our area rug selection is the largest in the area. From contemporary or country, to traditional or classic… We have it all. Stop in and browse through the 150 to 200 carpet remnants we keep in stock all year round. We also have a large amount of vinyl flooring in stock. Many specialty products are available in our showroom such as stair treads and rubber flooring. Guard glides for appliances to protect your new flooring and cleaning products of all kinds are always on hand. How can we help you today? We broker and supply high quality carpets, hardwood, tile & natural stone from brands like Stainmaster, Shaw, Mohawk, DalTile and Stone Peak. Direct from the mill to you. No pressure, no haggling and our best price the first time, every time. Burton Carpet Shoppe and Flooring is a family owned and operated business located at 12300 Kinsman Road in Newbury, Ohio offering Carpet, Vinyl, Ceramics, Porcelains, Natural Stones, Laminates and Hardwoods. At Burton Carpet Shoppe we have only the most knowledgeable, friendly and seasoned floor covering experts. Carrie Giel and her daughter Jaime Lawson have over 30 years of experience in the floor covering industry. 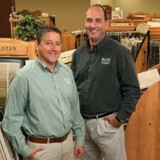 Together they head up the design team at Burton Carpet Shoppe. Whether it is a residential project or a large commercial project both Carrie and Jaime can help in your designing needs. Try one of our in home consultations now. Carrie also offers Personal Showroom Appointments to give you one-on-one time without any interruptions. We work with wonderful interior designers who can offers their professional advice and services. We offer free in home measures and complete installation available by our own professional installers. Our assistance in achieving the look you want is just a phone call away. We specialize in flooring and remodeling homes in Northeast Ohio. We have ceramic tile, porcelain tile, hardwood, engineered hardwood, luxury vinyl planks and tiles, laminate, vinyl sheets, & solid and patterned carpet. We also have a construction division that can remodel your kitchen, bathroom or any other space in your home. Visit our showroom and experience the one-stop-shopping difference! Carpet dealers in Manchester, OH help homeowners choose the correct carpet covering for their floors, and also assist with carpet maintenance. This includes determining factors like material, carpet pile, durability, color and size, as well as helping with any custom carpet design. After completing the initial installation (which includes removal of the old flooring, if applicable, and surface prep), they may also handle follow-up maintenance requests such as carpet cleaning, carpet repair and carpet stretching. Find a carpet dealer on Houzz. Narrow your search in the Professionals section of the website to carpet dealers in Manchester, OH, and read reviews and ratings for pros in your area.